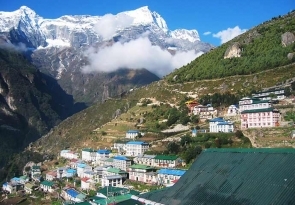 You want to experience the sights of Mt Everest and Mount Makalu? Then the Arun valley is the place to be. 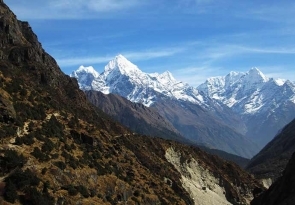 It can be found between the areas between Sagarmatha and Makalu-Barun National Parks. Our trekking in this valley provides a unique experience to the Khumbu region. 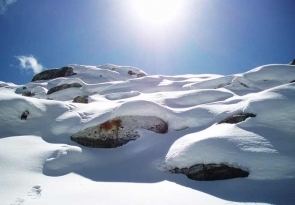 We clearly see this trekking as an add-on to visitors who have already been in this Everest region but have this Everest fever and want to revisit Everest Base Camp (Kalapattar) via a less traveled route. 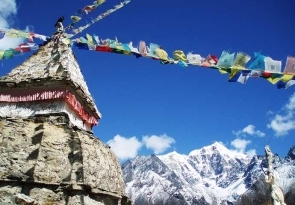 The trek requires although fitness to fully enjoy the beauty of the region which provides some breathtaking mountain views. 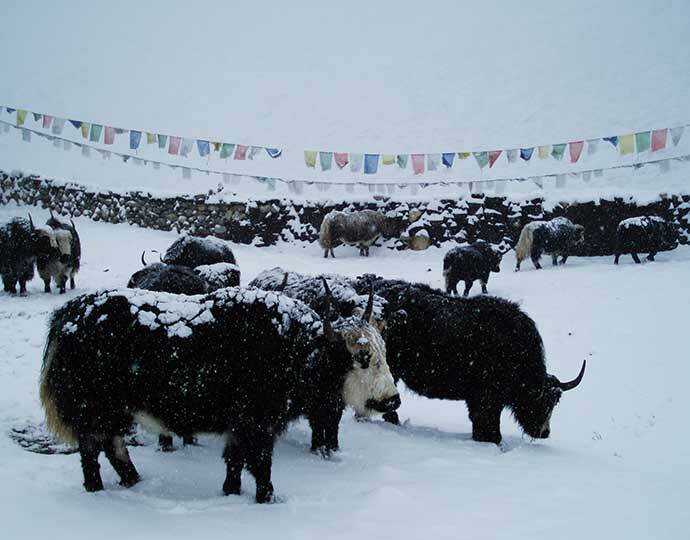 We start off with a flight to Tumlingtar to the East of Everest. 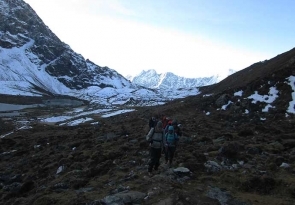 In the first week, we trek through the natural and pure territory into the Solu Khumbu region before we go up on the main Everest trail to Kala Pattar. 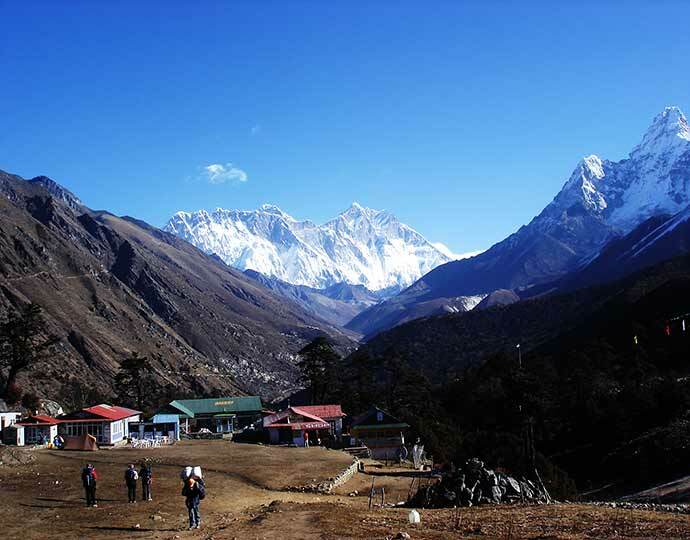 This is the most exciting part that offers views of Everest Nuptse and Lhotse along with many others before we memory filled return to Lukla and fly back to Kathmandu. Morning fly to tumblingtar and meet crews, arrange things then we start our trek through the idyllic middle hills of eastern Nepal, a very diverse region of many ethnic groups, shamanistic religion interspersed with Buddhism and Hinduism, traditional villages, green, terraced fields With the mountains rising, Chamalang to the left and Makalu to the far-right. 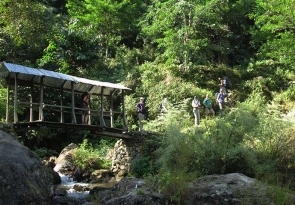 Today we start the morning by crossing a sparkling stream on a bridge, continuing past the small tea houses, and starting a 600 meter climb, hot in this weather! 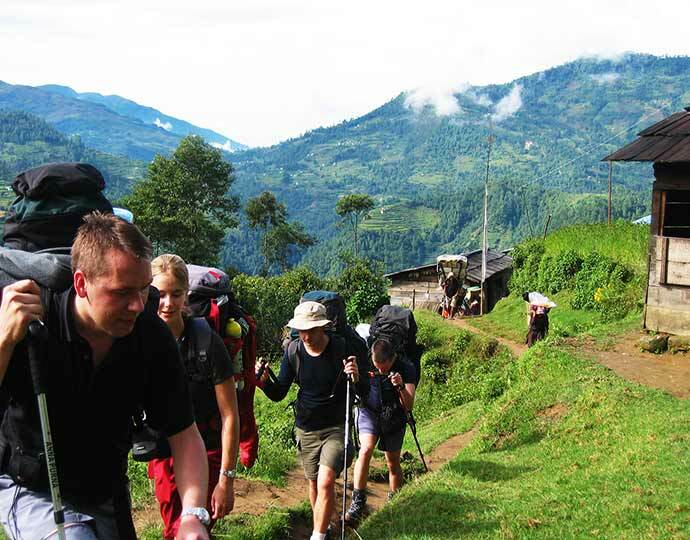 The trail is slippery, of red mud, and we’ll have a rest at the ‘chautara’ (Nepali resting wall, often by a shady tree) before taking the right to start up the steep climb. We pass many small intersections leading to village along the way, but continue on the main trail, eventually reaching Marduwa. Soon we reach the intersection of the old trail from Dingla, and after contouring around a hillside we reach a larger trail near a cluster of banyan trees. 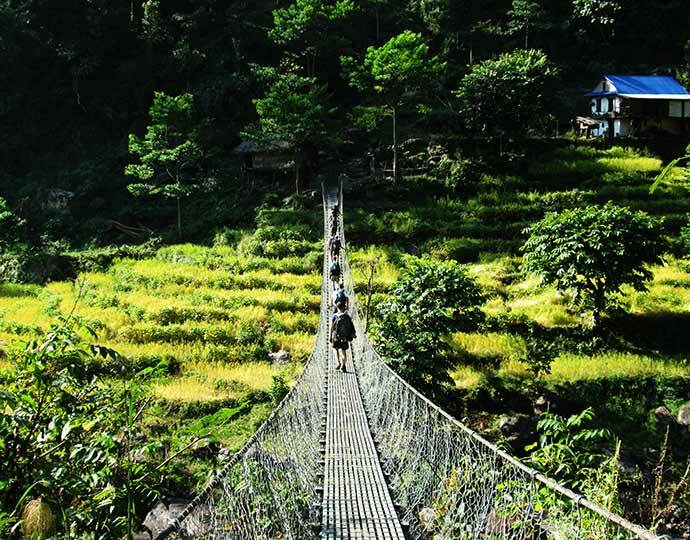 Descending through the lush forest to the Irkhuwa River, we cross on a small bridge and after a short climb reach the lovely settlement of Gothe Bazaar, the inhabitants a mix of Gurung and Rai. After an early breakfast, we start towards Lankuwa village and then further on to Dhobani, a village of paper-makers, from where we trek though the village fields and past the school before crossing the river and arriving at Phedi, at the confluence of two rivers. From here, the fun starts; we start climbing, steeply, on stone steps that seem to never, ever end … Eventually they do, however, and we arrive at the Shalpaphedi. 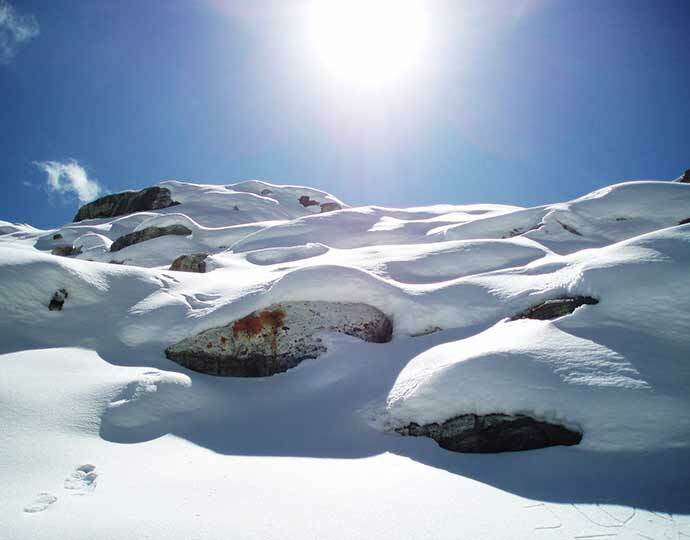 Today we start early to head up to the top of the ridge and contour around the dry pond, keeping to the south side of the ridge and through patches of rhododendron before reaching Guranse, a local porter stop. On to the pass! 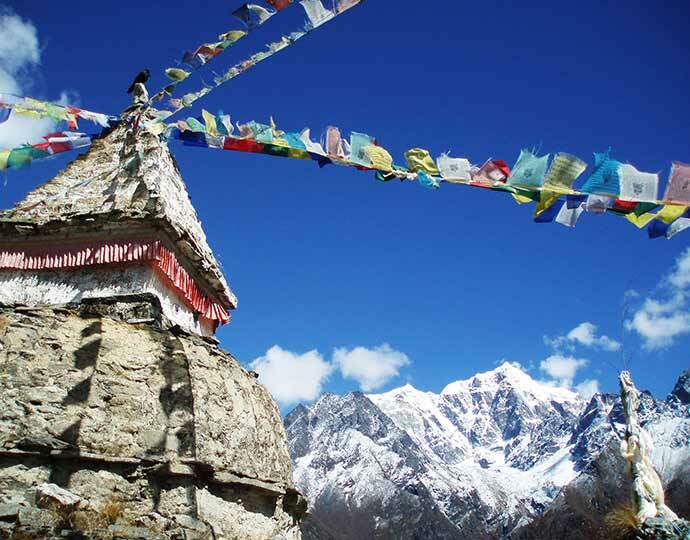 The Salpa Bhanjyang pass at 3350m with its single chorten, is the border of Solu Khumbu and the Sherpa region. 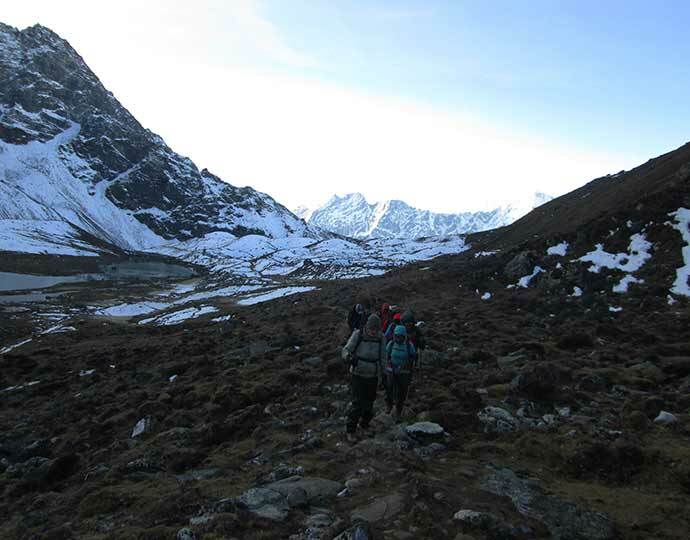 We descend following a small stream and several mani walls to the Lidung Khola, where we cross to the north bank and continue on to Whaka with its few tea-houses. 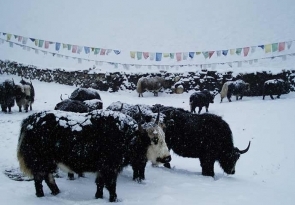 After breakfast, we start our trek, we pass through Monastery and Sherpa village and as soon as we reach Nimtsola, here Sherpa influence ends and the land of the Rai begins. The trail is now larger as we trek down to the large, Rai village of Gudel, with the village of Bung and the Naulekh Mountains visible in the distance. Following the stream on a rock trail, we ascend a switch-backing trail after crossing the Hungu Khola; Bung begins soon afterwards and continues upwards, built on the hillside, the lowest houses of the village about 400 meters below the upper reaches.. Bung means ‘beautiful flower’ in Rai, and is indeed a lovely, large village of Rai inhabitants, renowned for its tongba, or millet beer, and which has received much development aid recently. 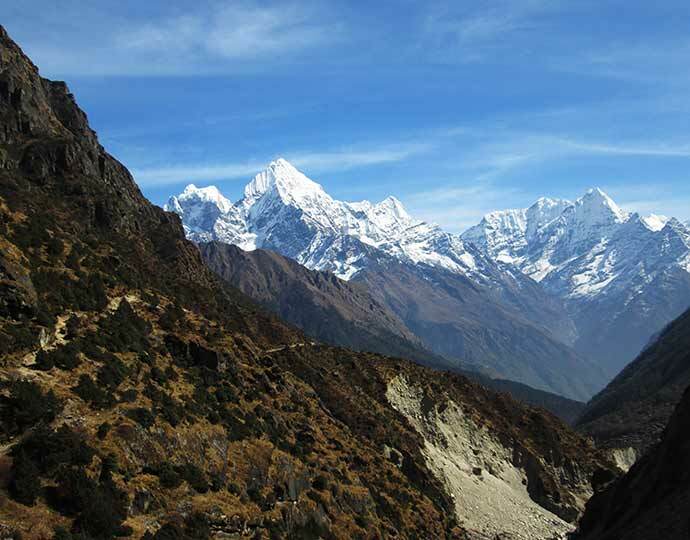 Today, we star our trek with a short, steep ascent out of the village, and then our trail becomes more forgiving, contouring gradually around the hillsides. 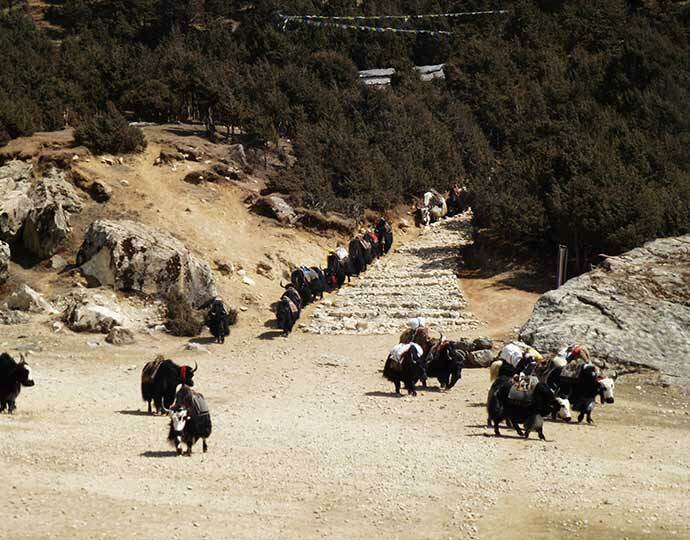 The trail heads towards Khiraunle-Chambaling Gompa, recently rebuilt. 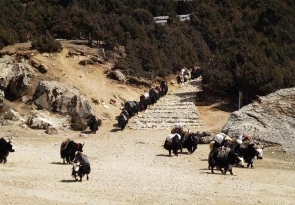 The newer trail passes right by the gompa, so if this trail proves to be the best one, we’ll stop into the gompa for a look. 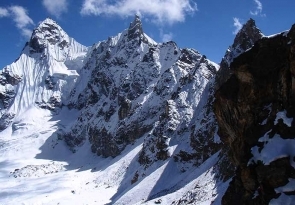 Heading to the old chortens and mani walls on the ridge, we pass through an ancient rhododendron forest, and at the intersection by the small group of tea-houses, head up towards the Surkie La pass. There are better views at the sightseeing platform where we’ll be able to see Khatang and Numbur. The descent is steep, through a forest of bamboo, and soon we arrive at our destination, Najing Dingma, a small village with a few small tea-houses and shops, set on a flat, green section of the hillside. 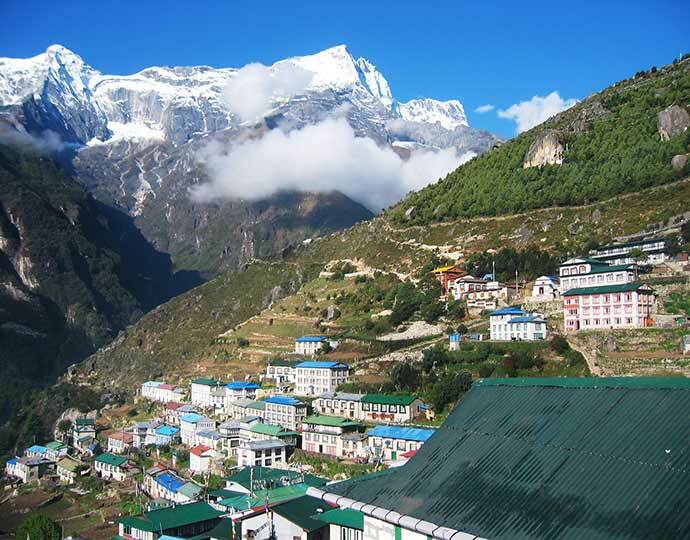 After breakfast, today We head to the Jiri-Lukla route ,we’ll trek to Gai Kharka (cow summer settlement, literally) and after crossing the Inkhuwa Khola on a bridge built by the Himalayan Trust, start up the steep climb to Shubuche, about an hour’s climb. 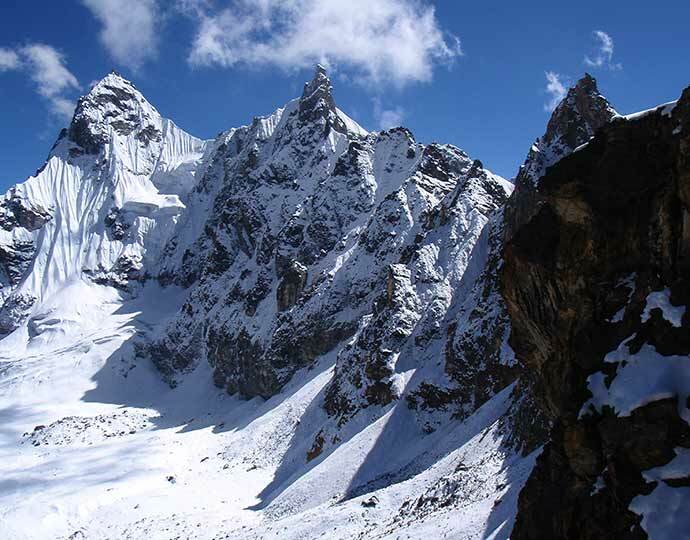 The reward for our climb is wonderful views of the Mera peaks and the Inkhu Valley, Next up, the Satu La at 3175 meters, from where we should be able to see the lower Jiri trail, and the Transhindo La. Finally a descent as we head to Pangkongma village, which has a Hillary school and a few lodges, where we head out of town past the mani walls, looking at our destination to Bupsa. The trail descends steeply downward so we need to walk slowly and under control as our shaky legs continuously battle the rocky terrain. 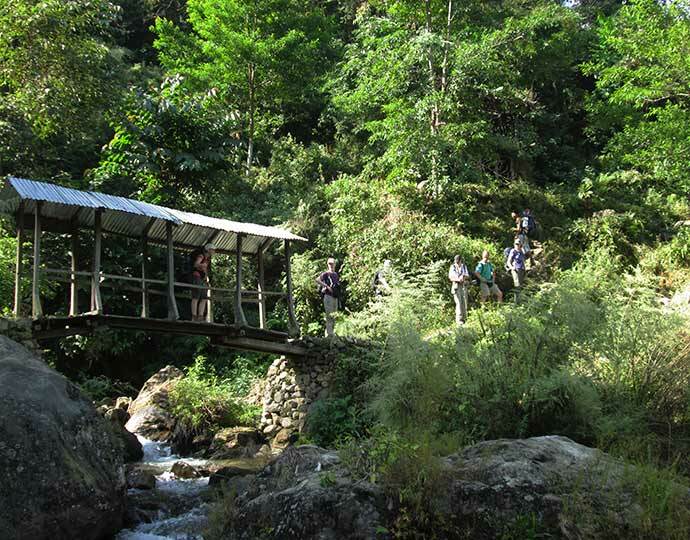 After crossing the suspension bridges over the fast flowing Dudh Koshi and its tributaries the trail becomes more level and natural. By today we start to get warmed up by the light breeze. Any remaining sore throats and colds will be gone by today as we pass through this charming mountain air. Although we are travelling the same route down, we feel completely different views.